New pipelines and terminals dominate oil and gas handling developments. Multi-million dollar investments are making the handling of both oil and gas much more efficient. Eugene McCarthy reports. Kinder Morgan Energy Partners (KMP) has entered into an agreement with a large Eagle Ford Shale producer to extend the Kinder Morgan Crude and Condensate (KMCC) pipeline farther into the Eagle Ford Shale in South Texas, USA. The company will invest approximately US$74 million (EUR55 million) to build an 18-mile, 24-inch diameter lateral pipeline north-west from its DeWitt Station to a new facility in Gonzales County, where KMP will construct 300,000 barrels of storage, a pipeline pump station and truck offloading facilities. The lateral will have a capacity of 300,000 barrels per day and will enable Kinder Morgan to batch Eagle Ford crude and condensate from the new Gonzales Station via KMCC to its delivery points on the Houston ship channel and/or the soon to be completed Sweeny lateral pipeline serving the Phillips 66 Sweeny refinery in Brazoria County, Texas. Including joint ventures and other projects, KMP's planned investments related to Eagle Ford Shale crude and condensates currently total almost US$900 million (EUR665 million). Completion is due in early 2015. Meanwhile Enterprise Products Partners has announced the construction of a new liquefied petroleum gas (LPG) export terminal on the Gulf coast. The facility will have the capability of handling up to very large gas carriers (VLGC) class ships. The initial loading rate for export grade propane or butane service is expected to be approximately 11,000 barrels/hour, which would equate to approximately 6-6.5 million barrels/month. Following the completion of the site evaluation at potential locations in Louisiana and Texas, this new LPG marine terminal is expected to be in service in the fourth quarter of 2015. Upon completion of the new terminal, and the recently announced expansion of the partnership's existing terminal on the Houston ship channel, Enterprise will have aggregate capacity to load approximately 15-16 million barrels per month of low-ethane propane and/or butane at its LPG marine terminals. With the development of this second export marine terminal, Enterprise will be able to offer customers what it describes as unparalleled operational flexibility and reliability. Each of these terminals will have separate, dedicated pipelines that supply LPG from the partnership's large fractionation and storage complex in Mont Belvieu, Texas. This complex includes over 100 million barrels of salt dome storage capacity and, with the completion of the eighth fractionator in the fourth quarter of 2013, more than 650,000 barrels/day of NGL fractionation capacity. "These facilities are supported by over 25 customers and associated long-term contracts, some of which extend into 2024. Just as with our other LPG export projects, we expect that the terminal will be operating at or near its capacity upon start-up. In addition to the strong demand for our LPG export services, we are also seeing interest in ethane exports. This new LPG marine terminal is designed with the flexibility and footprint to expeditiously add the necessary facilities to provide ethane export services as this market develops," noted Michael A Creel, ceo of Enterprise's general partner. 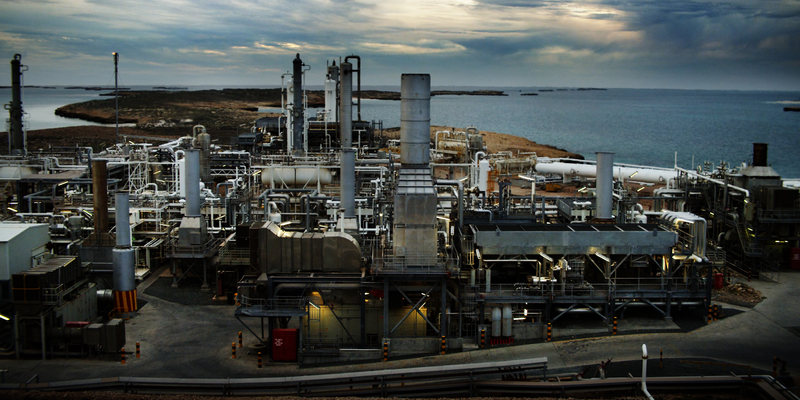 In Australia, one of Apache's subsidiaries and its partners have signed long-term sales and purchase agreements with Tohoku Electric Power for liquefied natural gas (LNG) from the Chevron-operated Wheatstone project in Western Australia. The Wheatstone partners have agreed to supply Tohoku Electric with 0.9 million metric tons per annum (mtpa) of LNG for up to 20 years. Through its 13 per cent share in the Wheatstone project, Apache Julimar, an Apache subsidiary, will supply 0.11 mtpa from natural gas (about 17 million ft3/day) produced at the Julimar and Brunello fields in offshore production license WA-49-L.
Apache and its partners previously announced heads of agreement (HoA) with Tohoku. This accord finalises the terms of the HoA. Wheatstone, one of Australia's largest resource projects, is under development at Ashburton North, seven miles west of Onslow in Western Australia. The foundation phase of the project will include two LNG trains with a combined capacity of 8.9mtpa and a domestic gas plant. Apache Julimar and KUFPEC Australia (Julimar), a subsidiary of Kuwait Foreign Petroleum, will supply gas produced from the Julimar and Brunello fields. Apache has a 65 per cent interest in the upstream Julimar development project (Fig. 1) and is the operator. Black & Veatch and Honeywell's UOP are to make it more cost effective for North American companies in the transportation sector to make the switch to LNG. The two companies will market and implement Black & Veatch's PRICO E Pack plant, a standardised LNG production facility, for the rail, on-road, off-road and marine industries. The alliance pairs Black & Veatch's patented, single-mixed refrigerant loop for natural gas liquefaction with Honeywell's UOP Russell modular plant equipment and its gas processing technology. The combined offering allows North American clients to achieve savings through expedited delivery and construction time of the small-scale LNG plant. LNG is an ideal transportation fuel option. It has a high storage density that makes it a viable option to displace diesel for high horsepower or heavy duty vehicle applications. LNG can also be produced at a relatively low cost and is cleaner burning than traditional fuel choices. The complete small-scale LNG plant offering will be available in 2013. PRICO E Pack is a full-scope, integrated small-scale LNG production plant best suited for production volumes between 50,000 and 500,000gallons/day (4-42 million standard ft3/day) of LNG. South Korean company Hyundai Samho Heavy Industries (HSHI), a shipbuilding affiliate of Hyundai Heavy Industries, the world's biggest shipbuilder, has successfully launched a 162,000m3 LNG carrier. The vessel was built using the on-ground shipbuilding method. Designed for delivering chilled natural gas, the vessel was ordered by Golar of Norway in February 2012. Golar is one of the world's largest independent owners and operators of LNG carriers with over 30 years of experience. The LNG carrier, measuring 289m in length, 45.6m in width, and 26m in depth, is scheduled to be handed over to the owner by late July 2014 after outfitting and painting work. After about 270 large blocks, LNG containment system, an engine and a propeller are manufactured and assembled in the on-land shipbuilding area, which is equipped with a 1200 tonne gantry crane, four jib cranes and a floating dock - the assembled LNG carrier is loaded out onto a floating dock by hydraulic skidding. The LNG ship is then launched out by submerging the floating dock. Though this is the first LNG carrier Hyundai Samho has built using the on-ground method, the company has already built 50 other ships using this method since May 2008. Since on-ground shipbuilding method allows higher productivity and cost effectiveness, facilitates efficient utilisation of yard facilities and resources, and improves the safety of working conditions, Hyundai Samho Heavy Industries plans to build 10 of 12 LNG carriers in its order book using this method.